All orders now sent using recycled packaging where possible! 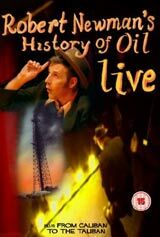 The much anticipated History of Oil DVD. Robert Newman gets to grips with the wars and politics of the last hundred years - but rather than adhering to the history we were fed at school, this show places oil centre stage as the cause of all commotion. 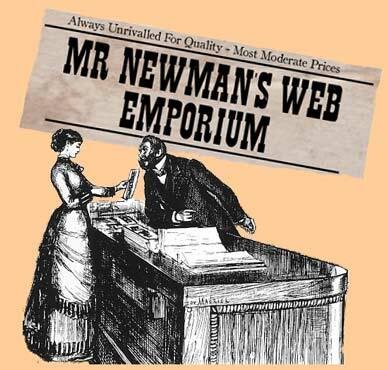 This innovative history programme is based around Robert Newman's stand-up act and supported by resourceful archive sequences and stills with satirical impersonations of historical figures from Mayan priests to Archduke Ferdinand. Also included on the dvd is Robert's full From Caliban to Taliban stand-up show. 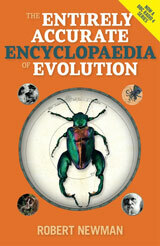 In this witty, fact-packed A-Z, Robert takes the reader on a whirlwind tour from caring, sharing vampire bats to intelligent slime-mould; from pacifist baboons to Richard Dawkins wrestling naked with his postman; from the invisibility cloak of the Hawaiian bobtail squid to Francis 'DNA' Crick's belief that life on earth began with alien spaceships. This 90 minute live DVD was recorded at Robert's sell-out gigs at the Brighton Corn Exchange theatre, during the 2003 Paramount Comedy Festival. 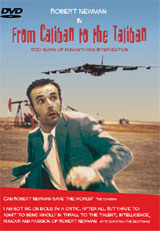 See Robert's critically acclaimed From Caliban to the Taliban set in its entirety. Directed by Dan Martin of Low Key Productions. Recorded live at the Lemon Tree Aberdeen in 2003, this double cd is now available as a download from iTunes, for �7.99.